Microsoft has begun rolling out the latest version of Windows 10 called the Fall Creators Update, version 1709. The new update includes new features and improvements that make Windows more productive, fun and easier to use. Microsoft Edge includes better support for working PDF's and EPUB files, more Control Panel settings have been modernized, you can command Cortana to shutdown, restart or lock your device and whole lot more. 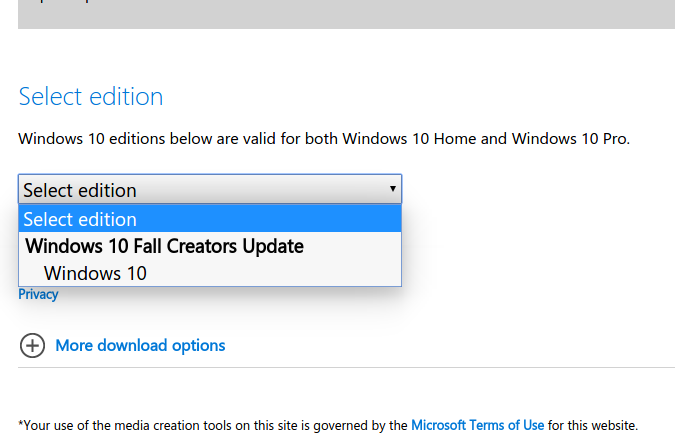 Below is a list of some of the ways you will be able to get Windows 10 Fall Creators Update today. Some options are still coming online, so periodically keep checking, but the primary channels are Windows Update and the Update Assistant. Please keep in mind, if you don't immediately see it in Windows Update, Microsoft might be phasing in the upgrade for your device. If you are sure your device is compatible, you can manually download the ISO file then upgrade offline. Upgrade Assistant – this light, 5 MB installer starts the upgrade to Windows 10 right away. It lacks many of the advanced options, such as choosing a partition, creating a bootable copy or selecting a particular edition. Media Creation Tool – this small app offers a number of options including in place upgrades, building install media on a blank DVD; or USB thumb drive; or downloading the ISO image. Users can also select different editions and architectures or a combination of both. Refresh Tool – also known as Start Fresh, this is another variant of the Media Creation Tool. The Refresh Tool is suitable for users who want to perform a clean install, while installing the latest version of Windows 10; users can only keep personal files. Applications, OEM bundled drivers and software will also be removed. 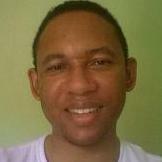 It’s perfect for users who want to start a clean system either to resolve performance or health issues wth their system. Windows Update – Windows 10 is part of Microsoft’s strategy to deliver Windows as a service. Since its release in 2015, Microsoft has delivered the bulk of upgrades to new revisisions of Windows 10 through Windows Update. An ISO file is a virtual replica of a DVD or CD. In order to use an ISO file, you must first intialize it by burning to a blank DVD or copy the install files to an empty USB thumb drive (8 Gbs in size). The ISO file is available through several channels for download. 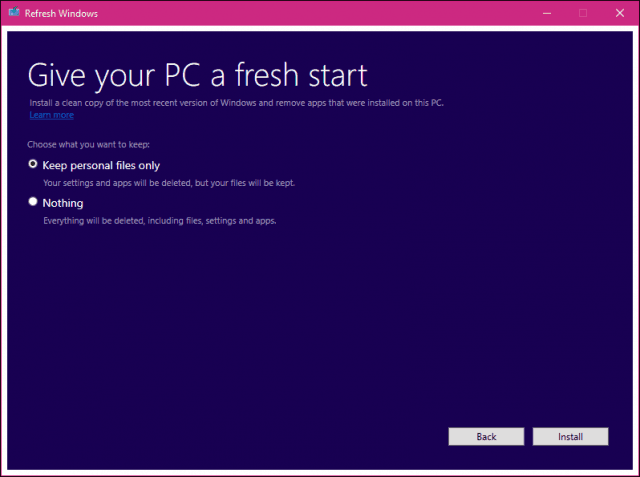 Once downloaded, users can mount the ISO file on devices running Windows 8 or later then start the upgrade. Here is how you can download the ISO file. Software Download Page – for users running alternative operating systems such as macOS or Linux, the software download page lets you download and create a bootable copy. Microsoft Academic Download – students who need to download a back copy of Windows 10 Education using their issued product key from their institution of higher learning. 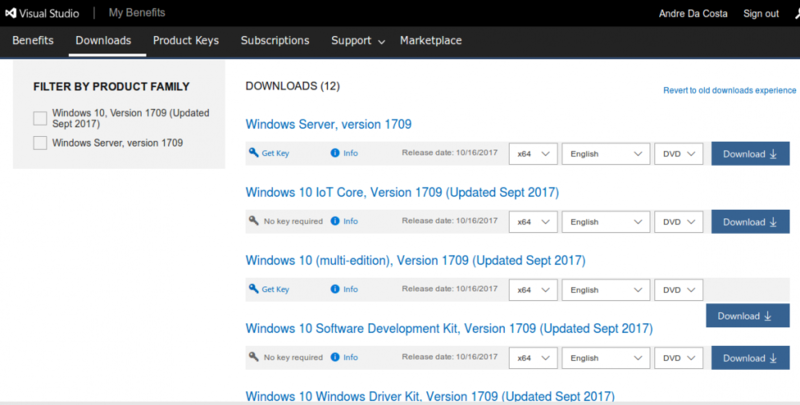 MSDN Subscriber Download – if you are a developer or IT professional with an active subscription, you can log in and download Windows 10 ISO images, which you can then create bootable copies from. Volume License Service Center – for large organizations that deploy Windows 10 in bulk to hundreds or thousands of computers. 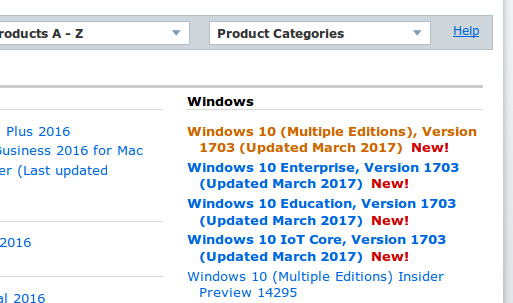 Specific editions such as Windows 10 Pro and Enterprise are normally available here. The Creators Update won’t officially be available until May 1 (as of this writing). 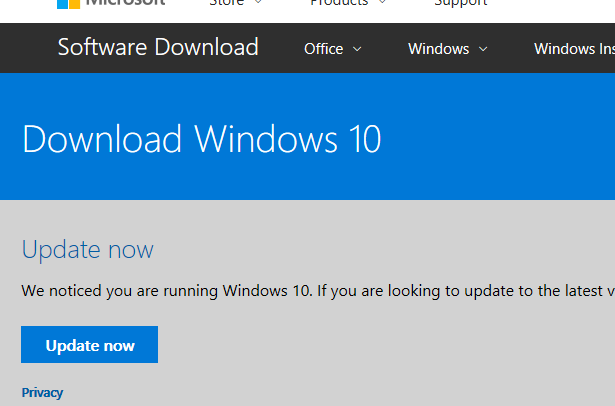 Windows Insider page – If you are a member of the Windows 10 Insider Preview Program, you can download ISO media for the latest version from within the Windows Insider Advanced page.